The Ruckus team Robert Royster, Ashley Royster, Amy Pilz and Sophia Pilz celebrate their six Maggy wins with a little ‘za. “It’s truly incredible for us to be involved in so many people’s lives,” says Robert. 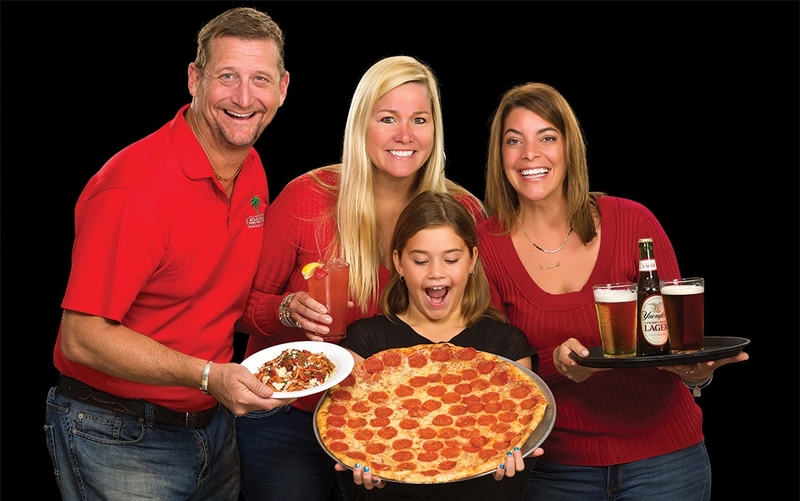 STAR POWER>> The well-rounded Ruckus shines bright this year with six Maggy best-of wins for Pizzeria, Appetizers, Cocktails, Neighborhood Bar, Outdoor Dining, and Kid-Friendly — plus an HM for Best Date Night Restaurant! 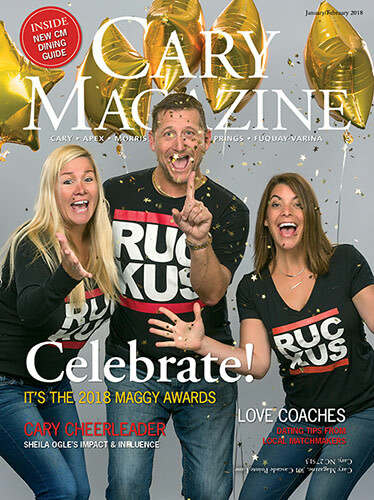 5>> Ruckus locations — two in Cary and one each in Morrisville, Apex and Raleigh. 19>>; Years of serving great pizza; the first Ruckus opened Feb. 21, 1999, in Raleigh’s Mission Valley Shopping Center. 10>> Homemade sauces, from Marsala to Á La Vodka. 18>> Sushi surprises, like the salmon-filled Lemonhead or tempura chicken What the Cluck. Ta, ta tomato>> Your expanded pizza options include the Southwestern with creamy Cholula base and Cajun créme fraiche, and the Sunny Side with eggs, bacon and barbecue ranch. Noteworthy number>> Coming in behind Ruckus as Best Pizzeria are Salvio’s Pizzeria and Mellow Mushroom, at just ONE vote apart! Moving up from an HM in 2017 to plate the top spot in this popular category is Sassool, with locations in Cary and Raleigh. Still using the fresh-ingredient recipes of family matriarch Cecilia “Sassool” Saleh, the third-generation restaurant and bakery serves up authentic Lebanese dishes from its gas-fired dome oven, baking whole wheat pita bread and specialty pies, including the triangle-shaped delight spinach fatayer, and Mediterranean sweets. Did you know? Sassool owner Mounir Saleh is among the founders of another family business, Neomonde. This just-outside-Cary establishment keeps quality at the center of its menu year after year, thanks to the vision of owner Rey Arias. Judging from our readers’ doublewin response, it’s much appreciated! Whether you’re there for the corn-fed filet, or cozying up over cocktails with someone special in Rey’s Voodoo Lounge, the French Quarter vibe is warm and continental. Regular, medium, hot or Thai hot? It’s your call at Sushi-Thai Cary, winner in this slot for the fifth time in Maggy Awards history, with HM mentions across the years. Offering up the best of both worlds when it comes to Thai and Japanese cuisine, including the “love boat” sushi meal for four, the restaurant caters to both veteran and novice diners. Don’t know the difference between sashimi, maki and nigiri? No worries. Start with a California roll, full of familiar ingredients. And BTW, wasabi is simply Japanese horseradish. La Farm produces 15 different styles of bread, and an additional 20 seasonal breads throughout the year. French bistro La Farm Bakery is on a roll. 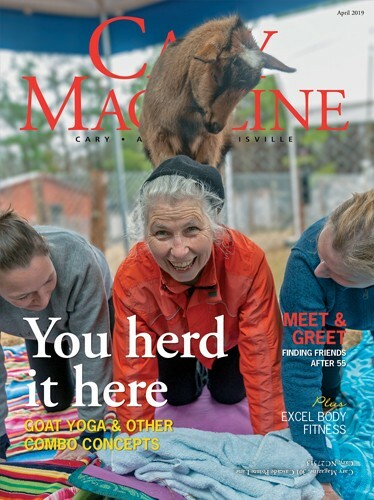 With nearly 20 years of white-aproned success, and named to the Maggy list every year since the awards began in 2006, La Farm continues to shine with two new Cary locations — downtown and at Alston Town Center. 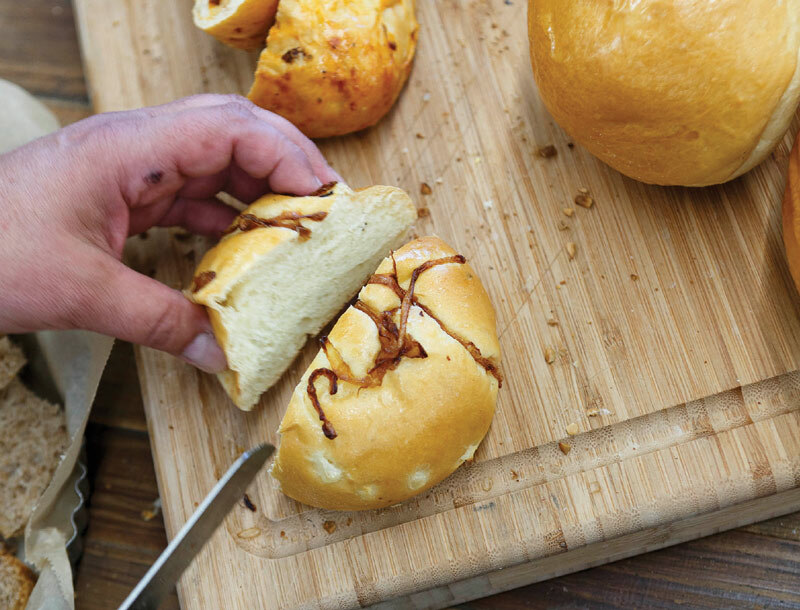 La Farm’s diverse line of 35-plus artisanal breads are baked with cold-stone milled organic flours, thanks to partnerships with North Carolina grain growers and millers, to provide customers with the best in nutritional value. Feast on this>> Only 11 votes separate the HMs in this Best Bakery category, settling in with Once in a Blue Moon Bakery & Café and Stick Boy Bread Co.! Paul Peterson, center, depends on longtime Wake Zone staffers, from left, Laura McGrath, Heather Nethery and Megan Oliver. 3>> Voted Maggy winner for three straight years. NEW>> Owner Paul Peterson, who bought the biz from its creators, Mark and Linda Hollamon. “We want to take what’s good about the business, and just froth it!” Peterson says. 3>> Minutes from Wake Zone to Peterson’s house. “I was in there all the time, so I know the vibe and it fits my personality,” he says. 7>> Days per week you can get coffees now sourced from local roaster Dilworth Coffee, including Peterson’s personally-developed signature blend, over the counter or in the drive-through lane. 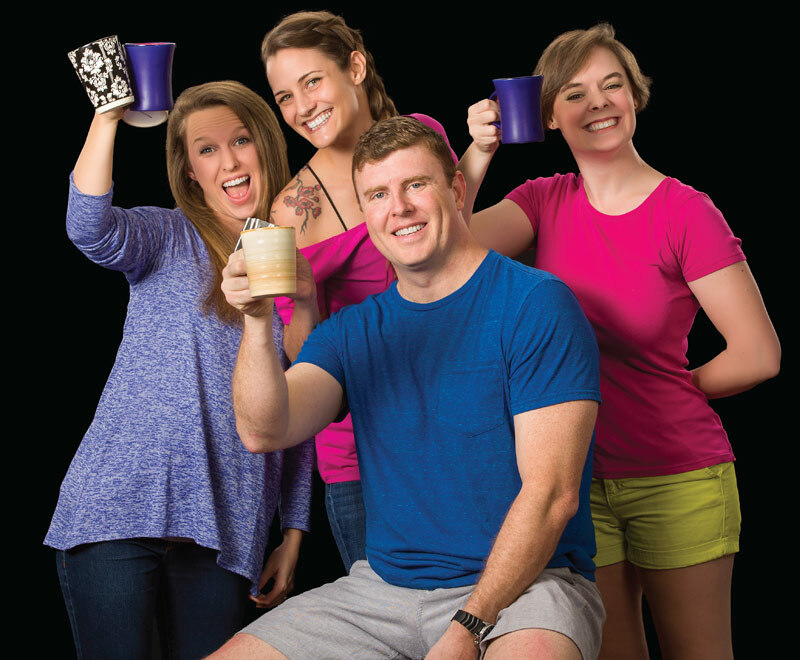 Baristas staying put: Longtime staffers Megan Oliver, Heather Nethery and Laura McGrath. Last drop>> The Wake Zone is here to serve. Lucky 7>> Just seven votes separate The Wake Zone from HM Crema Bakery & Espresso Bar! 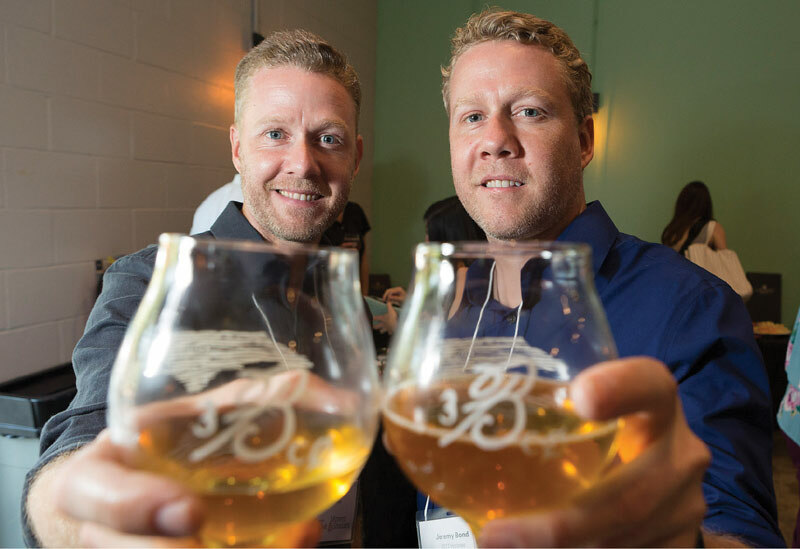 Jay and Jeremy Bond of Bond Brothers Beer Company. Downtown Cary’s dynamic duo has done it again! Twin brothers Jay and Jeremy Bond, a traveling musician and an artist in previous lives, are stars of the brewing world for a second year as they draw beer lovers from all over, with more than a dozen unique beers on tap and a robust barrel sour program. Passion is the key to their success, the beer bros say — and the “market research” is pretty great too.